Head: The backward and forward shifting of the body weight from both sides is judged by the position of the line through the ear. From the rear, the location of the patient’s head is noted by the comparable ear level. When the head is tilted to the left, the chin will lean to the left. Also, the bilateral development of sternocleidomastoideus, as well as the suboccipital muscles, are noted, and the asymmetrical fullness of the suboccipital musculature shows the upper cervical rotation. Shoulders: Note the prominence, tilting or the rotation of the scapulae inferior angles from the side. Also, observe the relative height of the scapulae from the rear, comparing each other. The entire cervicobrachial spine is typically scoliotic, particularly toward the side of the high shoulders. Look for the winged scapulae or the failure of the scapulae to lie smoothly on the chest wall. Finally, check the distance between the scapulae vertebral borders from the spine. If the shoulder seems to be high on the right side and the scapulae flares still on the right, the whole cervicobrachial, as well as the thoracic spine, is scoliotic to the right. Back: Look at the curvature of the back spine from the side. Be sure to evaluate it as abnormal or healthy that is, the kyphotic or lordotic. Check the sacral angle degree of tilt and the angle of Lumbosacral. Compare the line of the spinous process from the rear of the back spine. The possibility of the spinous process being asymmetrical should be observed, plus the deviation to the left or right, without the entire body of the vertebra being involved. Pelvis: There is a decrease in the depth and height of the body angle in pelvic mechanical pathologies, particularly on the side of involvement, from the posterior. A low or less prominent iliac crest is correctly observed from the front. Here, check the approximate height of the peaks and the more celebrated trochanters. 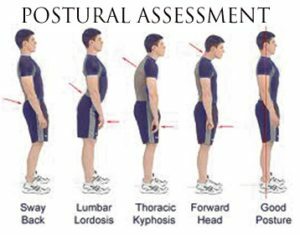 Also, look at the comparative depth and height of the sacral dimples, the bilateral buttock height, and the position of the gluteal cleft. The degenerative disc weakening together with the protrusion is suspected if the chronic sciatic neuralgia lies at the elevation of the crest side. However, if it occurs on the low crest side, consider the possibility of a sacroiliac slip and of course, the lumbosacral torsion as being the causative factor. Legs: Check the degree or the angle of knee hyperextension from the side. Note any angle of genu valgum from the front, by the space between the knees. Check whether there is any possible torsion or lateral tilt or rotation of the tibia by looking at the position of the patellae. Feet: Check the angle of the foot pronation from the rear, by the line of the Achilles tendon. Also, look for the flattening of the longitudinal arch, mainly by checking the position of the navicular tubercles from the front side. Note the evidence of hammer toes or hallux valgus. In this Flexed Knee with Ankle Dorsiflexion test, it was noted that there was a significant increase in the anterior translation that is between the intact and cut ATFL in approximately 10 and 20 degrees of plantarflexion. When the two ligaments were transected, the cadaveric anterior translation increased at all flexion angles that were used in the testing. It was also discovered that the ankle and the knee position influences the anterior drawers laxity and of course, the stiffness of the ankle complexity. The anterior drawer testing of this ankle complex together with the knee that was positioned at 90 degrees of flexion & 10 degrees of ankle plantarflexion produced the most laxity and the least stiffness. Therefore, this test suggests that both positions of the knee and ankle in a good posture permits perfect isolation of the ankle ligamentous structures compared to the knee extension or the neutral ankle position. Clinically, the result found provides a very different outcome. 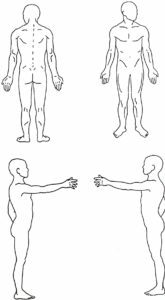 This fact suggests that other factors may also influence the sensitivity of the test such as the variation of the individual properties of tissues as well as bony structure. Since the ankle is held in a neutral position, the clinician supports the calcaneus and tries to invert the calcaneus concerning the tibia. The area of improvement in this test is to get a standardized value for the angle of the talar tilt which indicates the instability. 7. Prevent any occurrence of fatigue since muscles are being used more effectively, to allow the body to utilize less energy. Calf Muscles and Hamstring attach at the back of the knee and can mimic a more severe problem, precisely when they start to pull. The tight calf muscles result to a tendon strain that will present the pain behind the patient’s knee, which in turn reduces the knee flexion. For the sustained knee flexion, start with the patient who has a problem in attaining the maximum active flexion. A pillow is placed under the stomach of the patient and a small towel around the ankle. For comfort purpose, put a sheet on the shoulders of the patient. Attach two mobilization belts end to end. Strap a single end of the belt around the ankle of the patient. Crisscross this belt and then pass it over the shoulders. Fasten them to the lower portion of the hydraulic plinth. 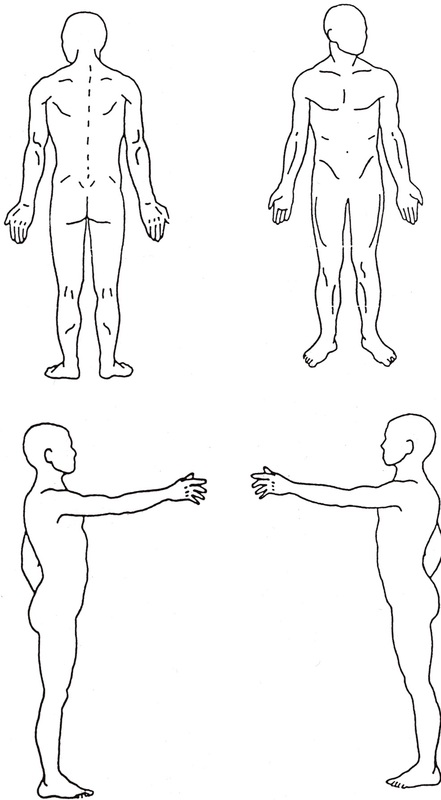 Release button of the belt is supposed to be placed within reach of the patient to control the force if he/she is not capable of tolerating it. The physical therapist slowly raises the hydraulic plinth monitoring the ROM and the tolerance of the patients. Once the patient attains the desired angle of flexion, a goniometer is used to check the ROM. Working with the body Characteristics, not against them. This was the perfect postural massage I have ever gone through in my life. Now, I don’t experience the back and neck pain as it was before. 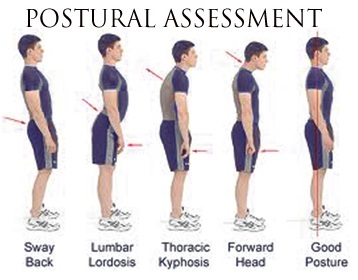 In fact, unlike other bad habits, poor posture may be relaxing to correct. This is because massage will ultimately assist your entire body to get back on the track. By allowing my body to reinforce healthy as well as natural movements, it is one of the most perfect and beneficial aspects of massage therapy. The massage therapy has relaxed and of course, loosened my muscles, which were made sore by bad posture. This has allowed my body to position itself in its natural and pain-free posture. Drink plenty of water to assist with dehydration and reduce soreness. If you want to sit, do it is the proper position and raise your legs a bit. Set aside time to do some exercises.